Happy Tuesday! 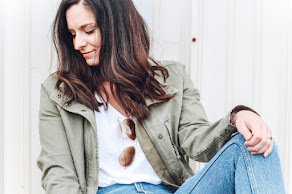 I did a splurge vs. steal mascara review back in June and actually ended up loving the steal version so much. 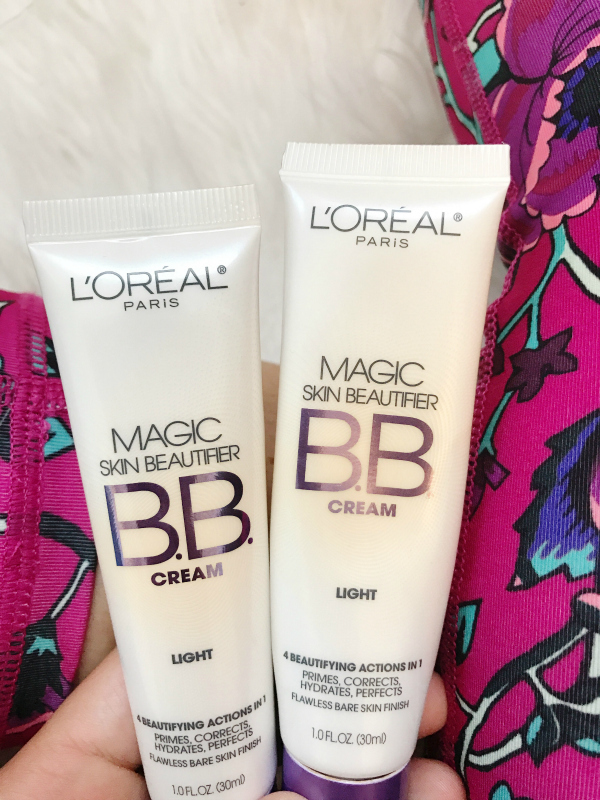 Since then, I have been wanting to share a product review of the L'Oréal Magic Skin Beautifier B.B. Cream because it's another great budget friendly beauty buy at less than $10! This is actually the very first B.B. that I have ever used so I thought it would be fun to share my experience. This post is not at all sponsored by the brand but the links are affiliate links so if you purchase one of them from my link, I may make a commission from the sale. 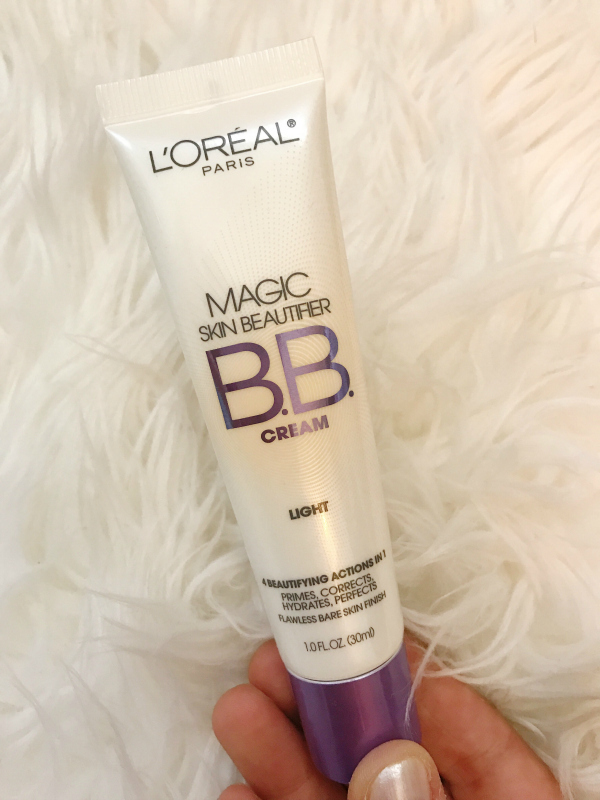 I bought the L'Oréal Magic Skin Beautifier B.B. Cream in the light shade about six weeks ago before my trip to the beach. I knew I wouldn't wear much makeup while I was there but I had read about how a B.B. cream can give you light coverage and even your skin tone so thought it was worth a try. I have always use a liquid foundation since I started wearing makeup when I was a teenager and now that I have been using this B.B. cream on a regular basis, I no longer wear my old liquid foundation anymore. I actually threw what was left away yesterday! This B.B. cream comes out of the tube white but adjusts to the color of you skin as you apply. It also doesn't take much at all. The first time I used it, I made the mistake of using way too much (as much as what I typically used of my liquid foundation). Less than a dime size amount covers my entire face and evens out my skin tone! I have some sun spots and they aren't noticeable after applying this B.B. cream! I use a light layer of this powder foundation on top as a dusting of this bronzer, blush, and highlighter palette. I don't think my skin has ever looked better! Such a great product for under $10 and I love it so much that I just bought my second tube over the weekend! 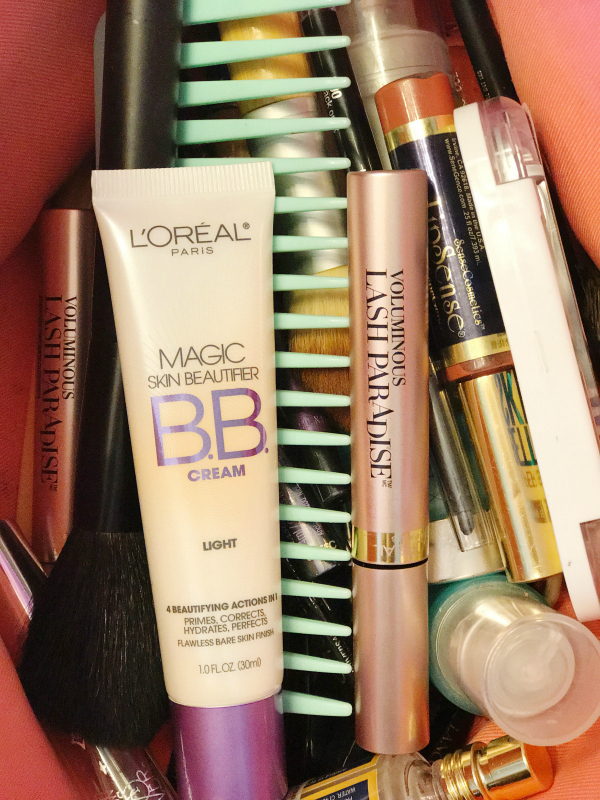 Do you have any great beauty on a budget finds that you absolutely love?! Please share them with me in the comments! I love discovering new products! I've never tried this, but really want to now! Sounds like a great product! This looks great. Thanks for a wonderful review! Thanks for sharing. I'll have to check the ingredients to make sure it's silicone free. I may just jump on BB cream band wagon haha! I've never tried one simply because I don't switch up make up too often due to my sensitive skin. But those sound fantastic! I normally don't use BB cream but I'll have to check these out! I looooove BB creams, I use La Roche Posay BB Blur as my foundation every day. It's the best! I haven't tried this Loreal one, maybe I'll get it next time.